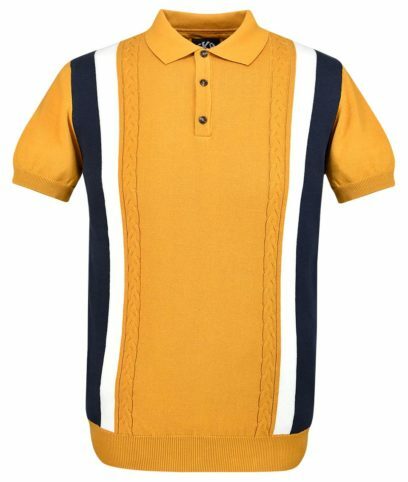 SS/2252 Knitted polo shirt by Ska & Soul made from 100% cotton in a regular fit. Gold and white twin stripes on front, plain on back. 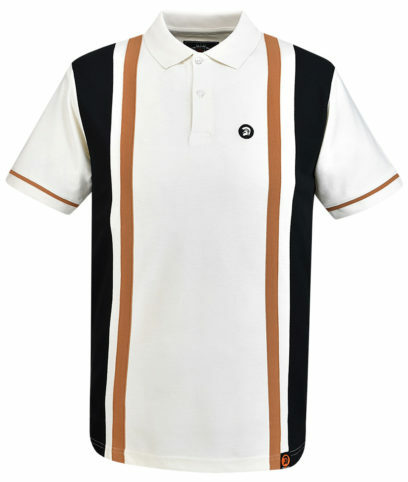 Ska & soul woven badge to right of chest. 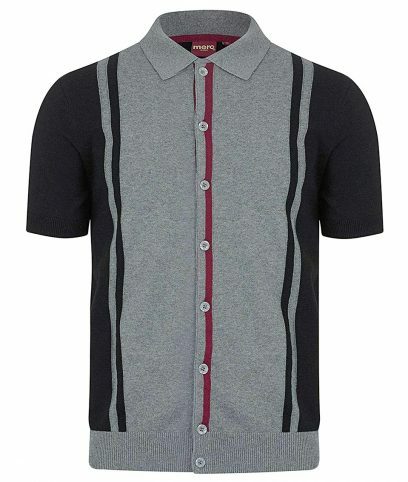 SS/2252 Knitted polo shirt by Ska & Soul made from 100% cotton in a regular fit. 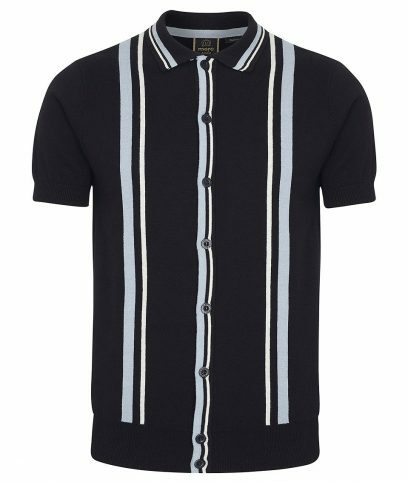 Navy and red twin stripes on front, plain on back. 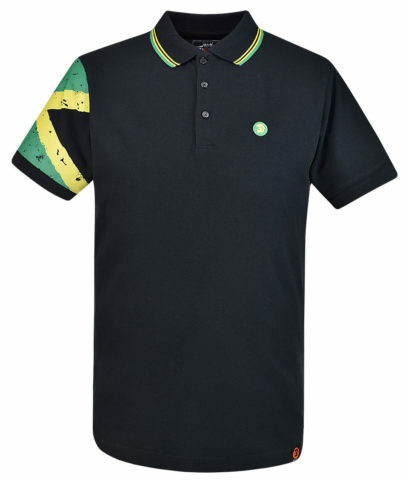 Ska & soul woven badge to right of chest. 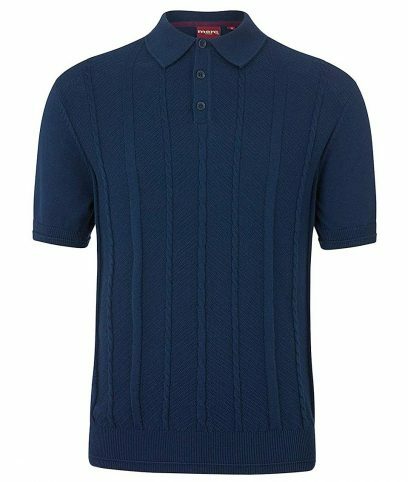 SS/2251 Knitted polo shirt by Ska & Soul made from 100% cotton in a regular fit. Cable knit detail on front with contrast blue and gold stripes, plain on back. 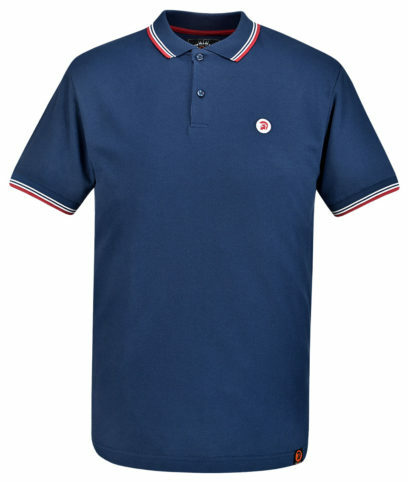 SS/2251 Knitted polo shirt by Ska & Soul made from 100% cotton in a regular fit. Cable knit detail on front with contrast navy and white stripes, plain on back. 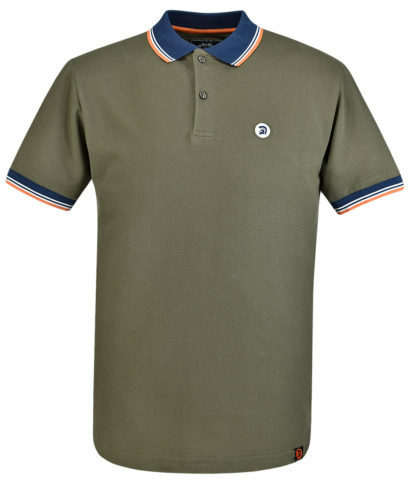 Polo shirt by Merc made from 100% cotton in a regular fit. Cable knit front, plain on back. 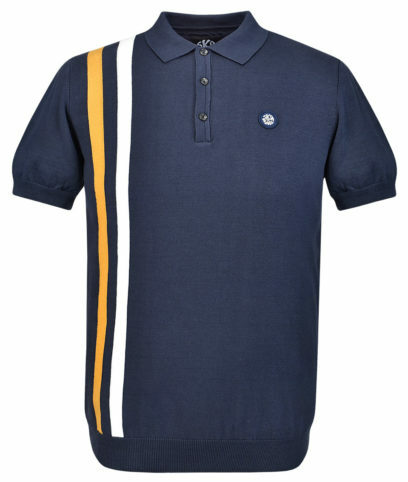 Embroidered Merc emblem on left sleeve. 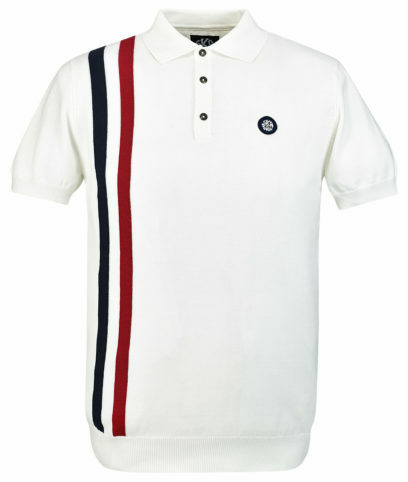 Polo shirt by Merc made from 100% cotton in a regular fit. Light blue and white vertical stripe front, plain on back. 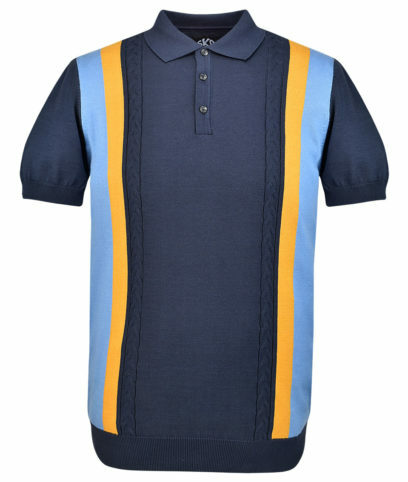 Embroidered Merc emblem on left sleeve. 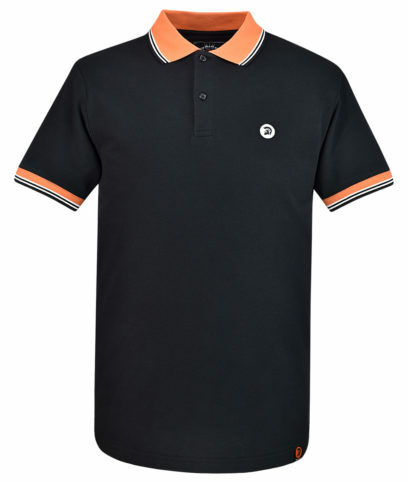 Polo shirt by Merc made from 100% cotton in a regular fit. Vertical stripe panel front, plain on back. Embroidered Merc emblem on left sleeve.